The Nangles, the Barons of Navan, lived in Ardsallagh from the early Norman times to the mid 17th century. In the 17th century after the Cromwellian upheavals, the Nangles lost their estates. Thomas Nangle (outlawed in 1641), regained his lands and passed them on to his son Jocelyn. Jocelyn's daughter Mary, married John Preston, (a grandson of Cromwell's General Ludlow), and the Nangle estates passed on to the Prestons, who then became the Barons of Navan. The estate ultimately became the Ludlow Estate - hence Ludlow St. in Navan. This family died out in 1840. The last Earl Ludlow left his Navan estate to the Duke of Bedford in trust for his son Lord John Russell, Prime Minister of England, who built the present Ardsallagh House on the site of the old Nangle castle. [The 1821 census describes what was left of the old Nangle castle as "the remains house of Ardsala"] It was demolished around 1840, and no trace of the old Nangle castle at Ardsallagh remains today. Navan by the Boyne (1st edition 1986) Noel French p.42. "Crossing the left bank of the Boyne at Bellinter Bridge, we enter the noble demesne of Ardsallagh. In no part of its course does the river present the same extreme calmness and repose as here. Widening into deep, still pools, shaded by aged timber, and fringed with wild plants of gigantic growth; huge coltsfoot, with the modest blue forget-me-not and the little yellow potentilla peeping through their dark umbrageous foliage; long toppling bulrushes, fragrant meadow-sweet, and broad water lilies stretch in wild luxuriance along the placid banks. Long avenues of lime trees, and groves of tall, grey stemmed beeches with arcades of ancient yew, give an air of antiquity as well as grandeur to this handsome park. ....the holy well of St. Bridget still exists here in the immediate vicinity of the house, and but a few paces from the river. Although a modern cut stone pointed arch has by some tasteless architect been thrown over it, still the thorns and elders overhang its pure waters......and the old carved head of St. Bridget, with its plaited hair and prim formal features - the very impersonation of a mother abbess - all combine to render this once celebrated spot a pleasing picture." 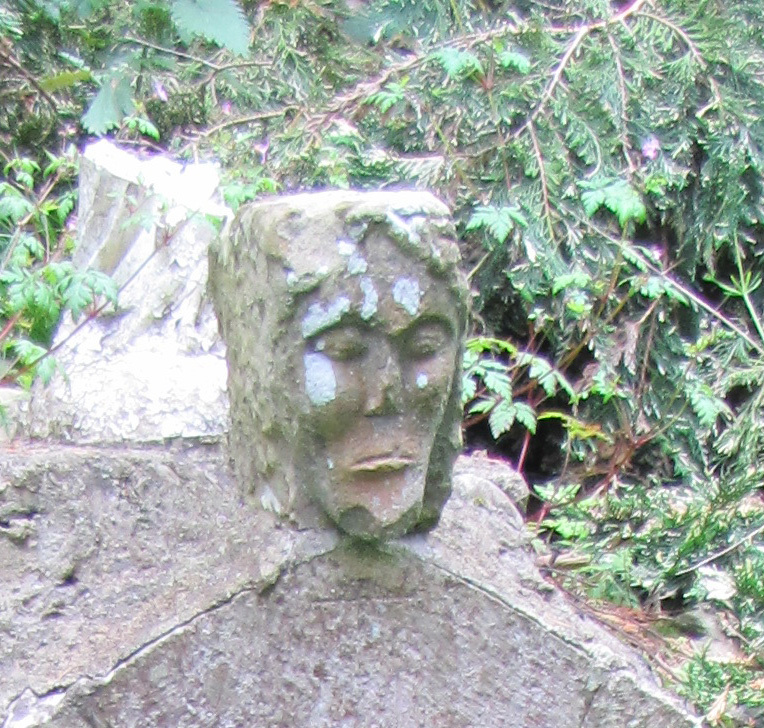 A statue of Our Lady was added, (to St. Bridget's Well) possibly by Mrs McCann who lived in Ardsallagh House in the early 20th century. This statue was damaged by a fallen tree and is at present being restored. The well and grotto are still well kept and St. Bridget's Well is a Protected Structure under the County Development Plan. Earl Ludlow calls his house Ardsalla, and he is Baron Ardsalla. Ardsallagh, containing a castle, a mill and an open quarry: Civil Survey 1654 - 1656. This townland is situated on the east side of the parish. It is bounded on the north by Navan parish. It is bounded on the east by the River Boyne. It is bounded on the south by Bective parish. It is bounded on the west by Bective parish and Kennastown townland. It contains 665 acres 1 rood 14 perches, statute measure, which includes 20 acres 1 rood 26 perches of the River Boyne. It is the property of Earl Ludlow. Agent, Mr. Maguire of Cavan. The soil is stiff clay with limestone, and produces tolerably good crops of wheat, oats and potatoes, but bad crops of flax. Part of this townland is let at will ( that is no leases ), at a rent of from 30 shillings to 45 shillings per Irish acre. The remainder, the south east portion along the Boyne, is enclosed to form the demesne and deer park attached to Earl Ludlow's residence, Ardsalla House, which with its offices stands on the bank of the river. There are very good oak, ash and elm tomber and some good fir plantations in the demesne. 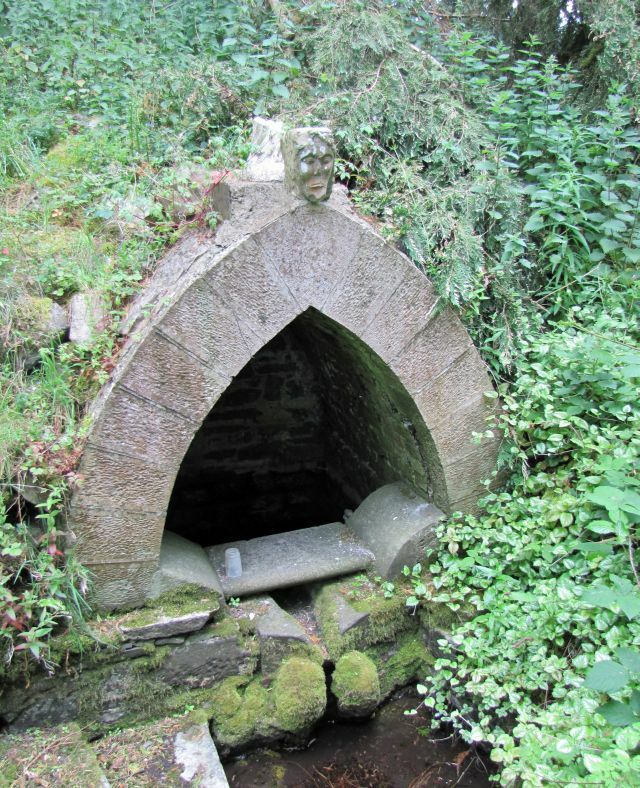 In the immediate vicinity of Ardsalla House, a few paces from the river, is a holy well dedicated to St. Brigid and called Tobar Brighde, St. Brigid's well. On the west side of the townland are some ruins of a medieval religious foundation. On the south side, near the Boyne, is a corn mill. Also on this side is a fine limestone quarry, used principally for building purposes. A National School, established in 1832, stands on the north end of the townland. The teacher is paid £8 by the Board and £13 by subscription. There are 52 scholars, 27 boys and 25 girls, all Roman Catholics. “Valuable and Extensive Landed Property, Ireland, By Messrs Jaques in February next, unless previously disposed of. The valuable estates in fee of the Rt. Hon. Lord Viscount Preston, comprehending a large noble mansion, called Ardsalla, with extensive Park well timbered with fine and valuable timber, and surrounding demesne, containing 400 acres of land, chiefly in land, most delightfully situate in the River Boyne, by which it is bounded on the east and south, and on the west and north by a brook and the road from Trim to Navan, of the yearly value of upwards five hundred pounds. Also the desirable estates in the said county Meath, containing upwards of 3,500 acres of land with suitable buildings, mills and dwelling houses in Navan and adjoining townships let at £3,950 per annum, for short terms and in old lives, which, as they fall in, must increase to an immense amount. The advertisement also included property in Louth and Westmeath. "To be let or sold for a term of years, the house and demesne lands of Ardsallagh, the Irish residence of Lord Russell, situated on his property in the County of Meath, in the best hunting district in Ireland. The house is a large gentleman’s residence, with good stables and out offices, and the demesne contains 333 acres 1 rood 43 perches statute measurement. The River Boyne runs within a few yards of the house and lands. Ardsallagh is three miles from Navan town and less than a mile from Bective station, on the Dublin Navan and Kingscourt Railway, that latter station being one hour’s rail from Dublin." Árd Salach would mean "dirty height"
Ardsallagh: Inq. temp. Henry 8. Ardsallaghe: Inq. temp. Jac. 1. This parish occupies the south east corner of the barony of Lower Navan, on the left bank of the river Boyne. It is bounded on the north by the parish of Navan. It is bounded on the east by the River Boyne which separates it from the parishes of Kilcarn and Dowdstown. It is bounded on the south by the parishes of Rataine and Bective. It is bounded on the west by Ardbraccan and Rataine parishes. It contains 1,738 acres 2 roods 24 perches, statute measure, including 20 acres 1 rood 26 perches of the River Boyne. It is a rectory in the Diocese, the rector being the Rev. R. Thompson. The tithes amount to £150. The parish is mainly under tillage, with some grazing, but no waste or bog. The principal proprietors are Earl Ludlow, Ardsalla, and the Rev. Joseph Preston of Ballinter, in Assey parish, brother of the late Lord Tara. Ardsalla, the family residence of Earl Ludlow, is in this parish. This is one of the parishes which constitute the Union of Navan. According to Archdall's Monasticon Hibernicum, page 513, St. Finian of Clonard, who died December 12th 563, founded in this parish the monastery of Eiscir Branain, otherwise called Ard - bren - nDomhnach; but no trace of this monastery remains today. Author: Linda Clarke, Archaeological Consultancy Services Ltd, 21 Boyne Business Park, Greenhills, Drogheda. This site was located within Contract 2 (Dunshaughlin to Navan) of the proposed M3 Clonee to North of Kells motorway scheme. It was situated 88m from the ruins of Cannistown Church and graveyard and was initially identified during testing by Stephen Linnane in 2004 (Excavations 2004, No. 1163, 04E0421). During this phase of works a pit containing burnt bone and charcoal was revealed along with two ditches. It was subsequently decided to remove the topsoil from an area of 271m2 and excavate all features identified. The area of excavation was extremely narrow and quite long, running between an existing road to the west and the edge of the proposed land-take to the east. Excavation revealed the remains of a keyhole-shaped drying kiln. This feature (maximum dimensions 1.8m by 0.86m by 0.35m) was cut into the natural subsoil and was not stone-lined. The partial remains of a circular structure consisting of a series of six post-holes, a double post-hole and two central posts were also identified. This structure extended outside the proposed land-take, so the full extent could not be determined. The excavated portion of this feature had internal dimensions of 3.6m by 2.6m and external dimensions of 4m by 2.8m. No finds were recovered from this structure and no central hearth was recovered. Three pits were also located within the area of excavation. The largest of these (1.16m by 2.2m by 0.43m) was situated towards the northern edge of the site. The full extent of this feature was not exposed, as it extended outside the proposed land-take. A significant amount of slag was recovered from its fills. This, combined with layers of charcoal and burning, would suggest that the pit was possibly used for metalworking activities. The further two pits (0.9m by 0.75m and 2.25m by 0.85m) contained animal bone and slag and both probably functioned as refuse pits. Additional features included three linear ditches, four small shallow linear features, two stone-metalled surfaces and two isolated post-holes. It was not possible to establish the significance of these features. Finds recovered from this site included a blue glass bead, a bone handle and slag fragments. It is likely that all the features identified were early medieval in date and may have been associated with the early foundations of Cannistown Church. This site was located within Contract 2 (Dunshaughlin to Navan) of the proposed M3 Clonee to North of Kells motorway scheme. It was initially identified during testing by Stephen Linnane in 2004 (Excavations 2004, No. 1163, 04E0421). During this phase of works a pit containing charcoal and burnt bone was identified. Subsequently, it was decided to remove the topsoil from an area of 420m2 and excavate all features revealed. The pit identified during testing was re-exposed and interpreted as a post-medieval hearth feature (0.67m by 0.45m). It consisted of red-brick fragments located around the remains of a millstone. The area around this feature was scorched. Two additional hearth features (1.02m by 0.6m and 0.75m by 0.6m) were also identified. Both of these features were constructed from red brick and stones. All of these hearth features were of similar construction and therefore all appear to be post-medieval in date. Three linear features, which probably functioned as drains, were also identified. Finds recovered included post-medieval earthenware, nails and slag. It is likely that this slag was produced on site. This site was located within Contract 2 (Dunshaughlin to Navan) of the proposed M3 Clonee to north of Kells motorway and was identified during a geophysical survey (GSB Prospection, 2001) and tested by Steve Linnane in April 2004 (Excavations 2004, No. 1162, 04E0420). Full resolution took place between January and March 2006 and revealed the remains of an almost-circular ring-ditch (c. 21m diameter) with an entrance to the north-west. It would appear that the ditch silted up and was then re-excavated to form a segmented enclosure. Tiny cremated bone fragments and animal teeth were recovered from the ditch fill. One small area of cremated bone may represent a cremation deposit, while the remainder of the cremated bone was scattered throughout the fill. A radiocarbon date of ad 650–770 has been obtained for the ring-ditch. The two circular house structures were located immediately outside the ring-ditch. Structure 1 (10.6m diameter) was formed by a slot-trench containing the remnants of timber plank. It was located 2.4m west-north-west of the ring-ditch and had its entranceway directly opposite that of the ring-ditch. A single feature, a cremation pit, was identified within this structure. No artefacts were recovered. Structure 2 was located 1.8m north of Structure 1 and 8.7m north-west of the ring-ditch. It consisted of a continuous slot-trench with a diameter of c. 8.2m. Like Structure 1, a cremation pit was located within this structure and no associated finds were recovered. A further four cremation pits were identified a significant distance from the ring-ditch. Two additional cremations were identified, contained within small inverted pots: the first a food vessel vase urn (of which only the rim survives) and the second a cordoned urn (of which only the upper part survives). Some sherds of pottery recovered from around the first of these two cremations were from a food vessel vase. They were located c. 15m south-west of and 30m north-west of the ring-ditch respectively. Radiocarbon dates from the cremated bone contained within these pits (2030–1750 bc, 1940–1740 bc and 1940–1740 bc) confirm the Early Bronze Age dates already indicated by the pottery. Other features included scattered isolated pits containing animal bone/tiny fragments of cremated bone. Aside from the pots mentioned above, the only artefacts recovered consisted of a few fragments of collared urn pottery, found within a small pit, and a blue glass bead recovered during general site clearance and not from a stratified context. Author: Stephen J. Linnane, Archaeological Consultancy Services Ltd, Unit 21, Boyne Business Park, Greenhills, Drogheda, Co. Louth. An assessment was carried out in advance of the planned M3 Clonee-North of Kells PPP scheme, Co. Meath, on the Dunshaughlin-Navan section (Contract2), between February and June 2004. This section of the scheme is c. 15.5km long from the townland of Roestown, north-west of Dunshaughlin, to the townland of Ardsallagh, south-west of Navan town. The EIS recommended testing any known or possible sites identified and Meath County Council further proposed to test the whole of the remainder of the route. For the purposes of testing, this section was divided into 26 testing areas. The assessment methodology generally consisted of mechanically excavating 2m-wide test-trenches along the centre-line and perpendicular to the centre-line to the edge of the land-take every 20m. The work was carried out on behalf of Meath County Council, the National Roads Design Office and the National Roads Authority. Testing Area 17 was located in the townland of Ardsallagh, between Chainages 34500 and 35500. Within this area, 10582m2 of the total 10,3491m2 available was test-trenched, providing an assessment coverage of 10.22%. The Testing Area was situated to the south of the medieval Cannistown church (in ruins) and ran to the south-east, as far as the Cannistown road. To the north-west the area included additional extensions to the north-east and south-west, which will incorporate the proposed Cannistown Overbridge. Testing along this section of the proposed route produced four sites, which were given designated names based on their townlands. Ardsallagh 1, the principal area of interest, contained a prehistoric burial site in the form of a ring-ditch with an external diameter of c. 13m. Associated with the ring-ditch were both cremations (one within an urn) and inhumations. An initial interpretation of the site would be that the primary use of the burial site was within the Late Bronze Age with continued usage into the Iron Age, when extended inhumations became more common. There were also linear ditches in the vicinity, but no finds were made to indicate their date and archaeological significance. Subsidiary sites included Ardsallagh 3, a post-medieval hearth constructed of brick and a reused millstone; Ardsallagh 4, an isolated possible cremation pit (the burnt bone from the pit has not been identified as animal or human); Ardsallagh 5, a complex of ditches and pits containing animal bone but no datable material. These features were situated close to the ruined Cannistown Church and may be associated with Early Christian or medieval activity at that site. The Nangles were granted the barony of Navan in the 1170s by Hugh de Lacy and they erected a castle at Ardsallagh. The Nangles lost their lands in the Cromwellian plantations. John Preston purchased much of the former Nangle properties and in this manner managed to acquire 7,859 acres in Co. Meath and Laois (Queens) Co. Preston placed 1,737 acres in trust for the keeping of two schools, one in Navan and another in Ballyroan, Queens Co. (Laois). Preston‟s heir was his grandson, John of Ardsallagh. His daughter, Mary, inherited the property as her brother Phineaas had died young. Mary married Peter Ludlow, M.P. who in his old age became afflicted by gout and had to be carried in and out on men‟s shoulders. Their son, Peter, MP for Co Meath, was created Baron Ludlow of Ardsallagh in 1755 and in 1760 created Viscount Preston and 1st Earl of Ludlow. Peter, the first Earl died in 1750 and he was succeeded by his eldest son, Peter, 2nd Earl of Ludlow, MP for County Huntingdon. Ardsallagh House had well designed formal gardens and a carefully designed landscape. Dean Swift and the Delaneys were regular visitors and many descriptions of the eighteenth century house and gardens survive. The house was described as a good house with some good pictures. Mrs Delaney wrote had difficulty describing the gardens saying that nothing could be wilder or more romantic. There was a grotto in an old stone quarry with statues of Hercules, Atlas and other Greek and Roman characters. Clipped yew hedges were set out like the walls of Troy. Lord Ludlow and the Ardsallagh estate provided 5s worth of bread each week for the poor of the parish. The loaves were placed in St. Mary‟s church. The Duke of Bedford continued this charity until 1907. In 1836 Ardsalla was the residence of Earl Ludlow. The south east portion of the townland was laid out to form a demesne and deer park. Ardsalla House with its outbuildings stood on the banks of the river. There are very good oak, ash and elm timber and some fir plantations in the demesne. The third Earl Ludlow willed the property to the Earls of Bedford who took control in 1842. In the mid 1840s the Duke erected the present house, accounts and drawings of which survive in the Bedford Estate Office. Ardsallagh is a Tudor Revival house with steeply pointed gables and dormer gables, oriels, mullions and tall chimneys. This new mansion house for 7th Duke of Bedford, cost £40,000. Wilde writing in1849 said that house looked as if it was half in mourning due to the very black limestone used in its construction. The Duke of Bedford took an active interest in improving the estate and proposed the demolition of the slum houses at Brewshill. In 1861 the Duke of Bedford died, and Lord John Russell, the British prime minister 1846-52 and 1865-66 inherited the Ardsalla estate. Lord John then asked for a peerage and became Earl Russell of Kingston Russell, and his eldest son became Viscount Amberley of Amberley and Ardsalla. In 1883 Earl Russell of Ardsalla held 3176 acres in Meath and 1017 acres in county Louth. He held no lands in England or elsewhere! His grandson, the third earl and last of the family to own Ardsallagh was the philosopher Bertrand Russell. The Russell Arms Hotel (where the Newgrange Hotel is now located) was erected by the agents of the Duke of Bedford to provide a suitable meeting place for the gentlemen of the county. The French family lived at Ardsallagh in the latter half of the nineteenth century. William John French married Harriet Caufield of Dromcairne. William John of Ardsallagh died aged 63 in 1876. His son, Captain Caufield French was High Sheriff of Roscommon in 1887. Another son, Houston, an army officer, served in the Egyptian campaign of the 1880s. In 1895 he was appointed to the Yeomen of the Guard, achieving command of that body in 1925. He also served in the Boer War. William De Salis Filgate of Lissrenny, Co. Louth married Georgiana Harriett French, eldest daughter of William John French of Ardsallagh. A fire damaged the house in 1903. Dr. Robert Collins, a distinguished physician lived in the house for a period. John McCann, M.P. lived at Ardsallagh House. A nationalist MP for Stephen‟s Green division in Dublin, McCann, published the newspaper, The Irish Peasant, in Navan. Ludlow Street, Bedford Row, Preston Place and the Russell Restuarant in Navan commemorate the Ardsallagh landowners. Boyne Hill house stands south of Navan over looking Kilcarne Bridge. A two-storey house with an attic, Boyne Hill is an Italianate style house. The rear elevation overlooking the Boyne may once have been the entrance front. The house may have been designed by Nathaniel Clements. The house has a walled garden. Rev. Philip Barry of Boyne Hill and Kilcarne died October 1831 aged 51 years. In 1836 Boyne Hill was the residence of Lt. Col. T. Gerrard. His demesne nearly occupied all the townland. In 1883 Thomas Gerrard of Boyne Hill House held 4,748 acres in County Meath. In 1898 the house had three reception rooms, eight bedrooms and stabling for seventeen horses. The Sclater family lived in the house early in the twentieth century. The Collins family lived there in the 1930s. In the later part of the twentieth century and early part of the twenty first century the house was for sale on a number of occasions and also vacant for periods. In recent years the house has been restored and became a venue for functions. ARDSALLA, a small parish on the right bank of the river Boyne, 2 1/2 miles south of Navan, barony of Lower Navan, co. Meath, Leinster. Length and breadth, each 1 1/2 mile; area, 1,739 acres. Pop., in 1831, 289; in 1841, 341. Houses 61. Though the land is of an indifferent quality, yet the seat and demesne of Ardsalla combine with the adjacent ones of Bellinter greatly to ornament the banks of the Boyne. Ardsalla demesne, however, seems to be as ill kept as it is delightfully situated. The estate anciently formed part of the extensive landed property of the Nangles, Barons of Navan, but passed by marriage, early in the 17th century, into the possession of the family of Ludlow. In 1719 and 1727, Peter Ludlow represented Meath in parliament; and in 1755 and 1760, his son was created successively Baron Ludlow, Viscount Preston, and Earl Ludlow. A monastery, or religious establishment of some sort, is said to have been founded at Ardsalla, early in the 6th century, by St. Finian of Clonard. This parish formerly a vicarage, but is now a rectory in the dio. ot Meatb, and forms part of the benefice of Navan. Tithe composition, £150. In 1834, the Protestants amounted to 3, and the Roman Catholics to 295; and 3 daily schools, 2 of which were aided from various quarters with respectively £19 14s. and £17, were attended by about 120 children.